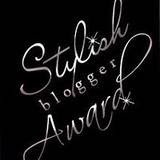 Flame Writer: Award Number Three: Stylish Blogger!! 1. Write about a time you dressed up. 2. Include a picture if you have one. 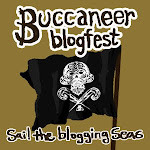 Another shoutout for Kela (http://teardropsonmybook.blogspot.com/) for this award! Woohoo! Kela’s so awesome; two awards?! Yeah! M’kay. It’s rare for me to dress up as it is, so this will be a good post. Junior/Senior Prom 2012. Theme: All of the Lights. I wasn’t planning on going to prom; I didn’t see the point when I could be at home, I don’t know, writing. But my friend Whitney badgered me about it until I finally groaned, “Alright! I’m going to Indiana next weekend; I’ll look for a dress.” Much to her excitement, I found one. After going to about eight stores. Imagine my mom’s excitement—her little tomboy is actually letting her parents look for a DRESS? Had I been stolen by a changeling? Nope, I was just going for it. Might as well go all out, right? The more I thought about it leading up to prom though, the more excited I got. So when the day of prom came, my mom pampered me. I was freaking Cinderella, people. I had makeup on. My hair was up. I had jewels in my hair. I was wearing high heels. I’d never done this before, and oddly, I felt amazing. So driving to prom at 95 mph with my weird music pumping merely increased my good mood. Once there I sat down with my best friends. All of my teachers, those in the senior class, everyone was just stunned. Me, Kendra, the girl-crazy-about-wolves-and-writing was here, at prom, wearing a dress? My science teacher ran over to me, grabbed my shoulder as though to ensure I was real, and then started taking pictures of me. ‘Kay, I was seriously Cinderella, or something. After the hype was over, we settled down to read senior prophecy (a sore topic). I started to feel a little dull then. It wasn’t like I was going to get up and dance. So after we ate and the music started, I prepared for a boring evening. Just what I brought my iPod for. However, no one was letting this happen. Once I walked up to the dancers and simply remained off to the side to watch, everyone else coaxed me in. A group dance song started, one I can’t resist, so I went in and danced. I'm really sorry, I don't have a good enough picture (with me in a dress) that I feel comfortable with posting. ): Maybe some other time. @InkintheBook: It's not a problem. x3 You're welcome though. AWE thank you for nominating me, i'm flattere!! :p and i'm so glad you had fun at your prom, i had a blast at mine! @Audrey: No problem! (; I didn't expect to have so much fun at prom! Definitely one of the best nights of my life. That's so neat! Thank you so much! And you totally deserved the award.